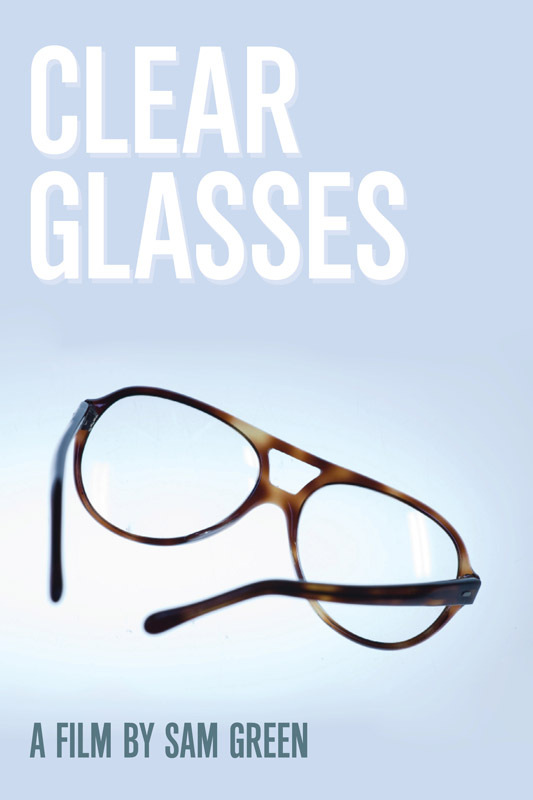 Clear Glasses | Sam Green | Sam Green - Sam Green is a documentary filmmaker. He’s made many movies including most recently <i>A Thousand Thoughts</i>, a live cinematic collaboration with the Kronos Quartet. Previous “live documentaries” include <i>The Measure of All Things</i> and <i>The Love Song of R. Buckminster Fuller</i>, featuring the indie rock band Yo La Tengo. Sam’s documentary <i>The Weather Underground</i> was nominated for an Academy Award and included in the 2004 Whitney Biennial. This film is a poem of sorts about a pair of glasses that Mark Rudd, one of the former members of the Weather Underground and one of the main subjects of my film on the group, sent me out of the blue a few years ago. He had been wearing that specific pair of glasses when he turned himself in in 1977 and I recognized them from news footage and photos of the event. He sent me the glasses as a way to say thanks for making the film. I loved the glasses. It was as if he had somehow read my mind, or my person, and figured out the gift that would thrill me almost more than anything else. I definitely find myself enthralled by certain objects. I think that what I like so much about Mark Rudd’s glasses is the fact that these are the very same pair of glasses that I’d seen on the cover of the New York Times. This was the actual object. There was something magic about that. Just like the Claxton Mailbox. I couldn’t quite figure out how, or why this was the case. Whatever it was, I felt like this fascination was somehow at the root of my documentary filmmaking—this obsession with realness and the real thing. I was drawn to Mark Rudd’s glasses in the same way that I was drawn to the Rainbow Man and his story, or Meredith Hunter’s unmarked grave, or the world’s largest shopping mall that is oddly enough a total failure, or a piece of footage that I used in The Weather Underground showing hippies burning dollar bills with looks of great ecstasy on their faces.